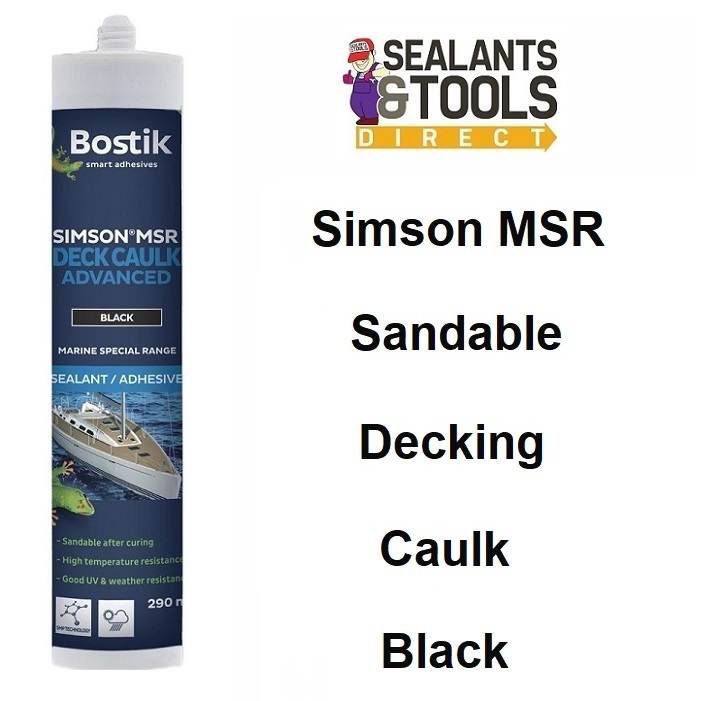 Simson MSR Deck Caulk Advanced is a 1-component, permanently elastic, fast curing sealant, based on Silyl Modified Polymer (SMP). long time resistance against fresh and salt water. Permanently elastic in a temperature range of –40°C to +100°C. Neutral, odorless and fast curing. Can be sanded after curing.